For bending soft or annealed tubing only, including Copper Type K or L, aluminum, brass, steel and up to .032” wall (0.8 mm wall) stainless steel tubing. Ergonomic, offset handles allow bends up to 180 degrees. 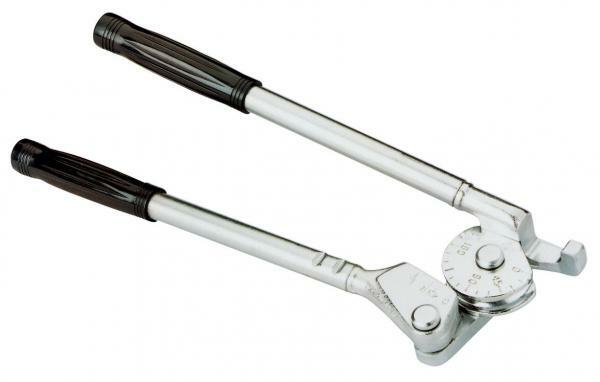 All metal parts are chrome plated for corrosion resistance.